Standing in the middle of an office when the communications system goes down is an eerie experience. It’s unusually quiet. 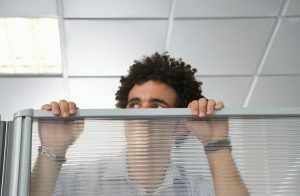 Confused faces pop over cubicle walls and out of office doors, wondering what’s going on. Everything in the office halts, and people comment about how reliant we are on our communications systems. But most of the time, we don’t think about the importance of making a phone call, pulling up a website or sending an email. Those actions are so ingrained in our everyday life, that we simply expect them to always be available. When a storm hits or disaster strikes and communications systems are interrupted, the impact is immediate. Productivity plummets, and for some companies, revenues can take a hit as well. Phones can’t ring, orders can’t be accepted, and invoices can’t be sent. While a few minutes may not be a big deal, downtime of days (or even weeks) can put companies at risk. During Hurricane Sandy in 2012, the storm knocked out 25 percent of wireless cell towers and a quarter of cable services in 10 states. And following the Boston Marathon Bombing, cell phone service was inaccessible and unreliable due to overloaded networks. For companies that rely on communications for their business continuity, it’s critical to ensure that you have failsafe and backup systems in place. Traditional carriers have limited abilities to provide failover capabilities when they experience “last mile” failures. Their systems typically rely on a single circuit that brings their services to their customers. If that circuit is off-line, no calls will come in or go out. However, a Managed VoIP Service Provider like Barry Communications can seamlessly failover from a primary circuit to a backup service. In the event of a more serious outage, we can quickly move all calls to another designated location such as a branch office, cell phones, or answering service. When a circuit failure happens to a Barry Communications ipConnect customer, often the customer doesn’t even know they are having a problem. Our technical team will receive a notification of a failover, will confirm and diagnose the problem, and then notify the customer that their primary circuit is offline and the backup service is in place until the situation is repaired. With more sophisticated business communications systems (such as ipConnect ShoreTel Cloud), companies often have their office phones integrated with cell phones, remote workers, online conferencing, IM and other technologies. If an entire building or site goes down, remote and mobile workers can continue to work with full functionality without any interruption. This is all possible thanks to the cloud. When communications systems reside in off-site data centers, they are physically separated from the office and the impact of any disaster or downtime event. This approach allows communications systems to continue operations even if a company’s entire building is offline. What Kind of Communications Backup Should Your Company Have in Place? What happens if you can’t get incoming calls? If your office is down for a period of time (hours or even days), how much will it cost your business? Some companies aren’t overly concerned about short periods of downtime. Their clients will still be there the next day, and their business won’t experience any major interruptions. But other companies build their reputation on responsiveness – if they don’t answer the phone, they lose a sale (and possibly a customer). Both types of companies will have different needs for communications system backup and redundancy. 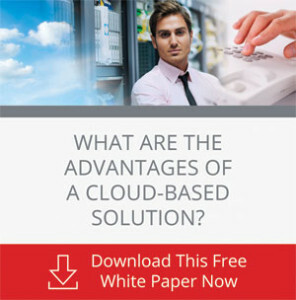 Learn more about cloud-based communications, and how this technology can help protect your business from unexpected downtime, by downloading our free ebook, “Clouds, VoIP, and Unified Communications”.